We are scheduling an ecommerce web design and SEO project for February this year focusing on selling gas items including blowtorches. 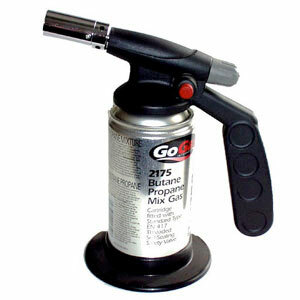 The proposed site will retail blowtorch products and accessories including propane and butane refills. Blow torches are tools used in all industries for a range of purposes from cutting and joining metal to browning cakes in the kitchen. Blowtorches are not a seasonal item and sell all year round. Its an exiting project this one as it is a more obscure and less mainstream product. To find out whther it sells online there is really only one way to find out. We will be pushing this one in the search engines and producing a cool web design to increase the likelihood of sale. A quick note too. We have recently got well into photography for our ecommerce projects and it will be on display shortly on our site.